Teacher Who Makes a Difference is a monthly honor designed to recognize local teachers who make a difference in the lives of their students. Each month a winning teacher is chosen by selection committee from all submitted nominations. Teacher nominations are open to any person on the Delmarva Peninsula, including students, parents, teachers, friends and acquaintances of nominees. To nominate a teacher, complete and submit the form found on the Contest page of 47abc.com. The nomination period is open from September 21, 2018 through April 30, 2019. 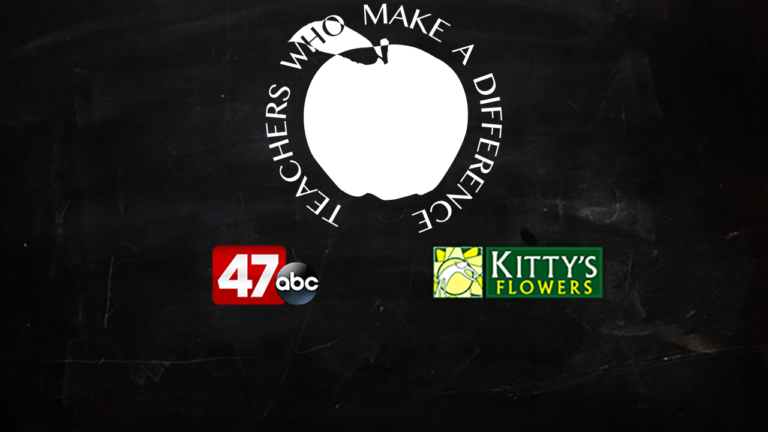 Each month (September 2018 through April 2019), a teacher is selected from all 2018-2019 entries and is recognized by 47ABC as Teacher Who Makes a Difference. Employees of Marquee Broadcasting, Inc. and its affiliates and associated companies, sponsors and their immediate families are not eligible to participate. All submissions become the property of Marquee Broadcasting, Inc. Marquee Broadcasting, Inc., their agencies and parent companies assume no responsibility or liability for injuries incurred during the acceptance or use of this prize and is not responsible for any lost or missing entries.